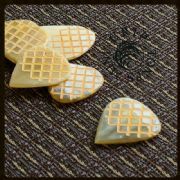 Black Horn, White Horn, Clear Horn & Buffalo Bone. 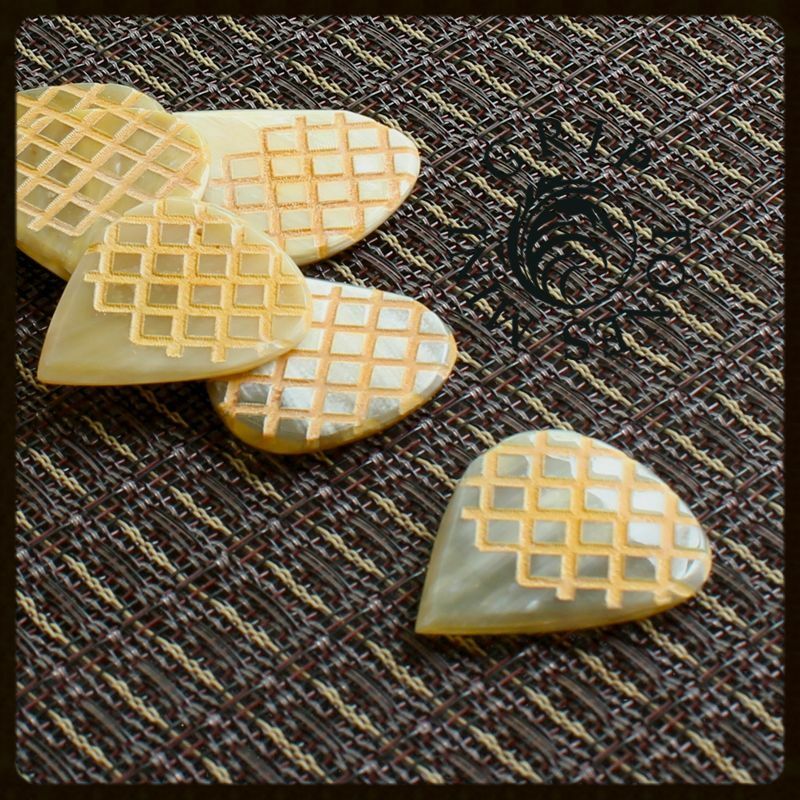 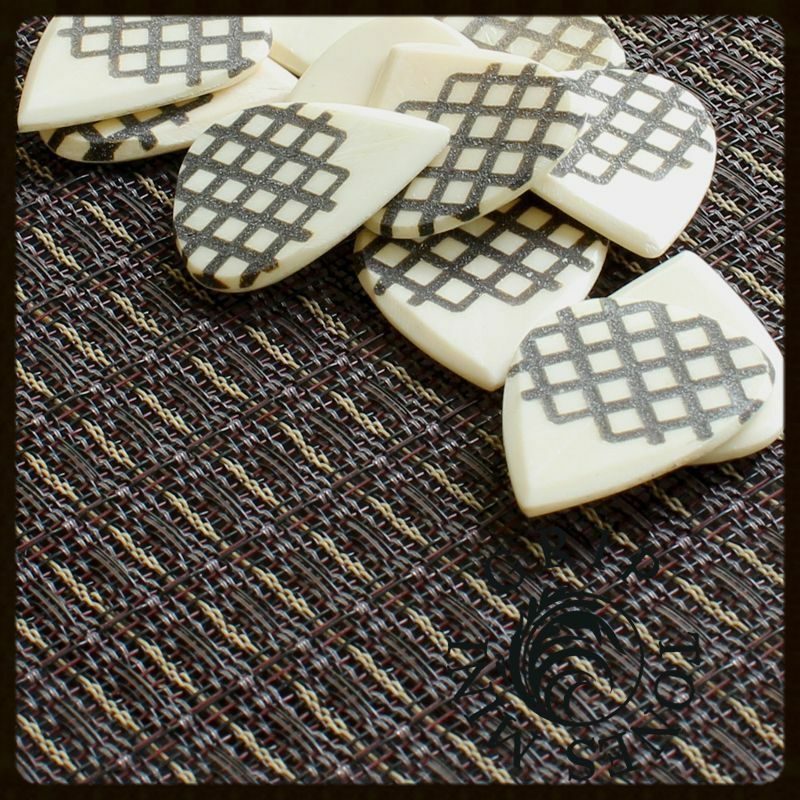 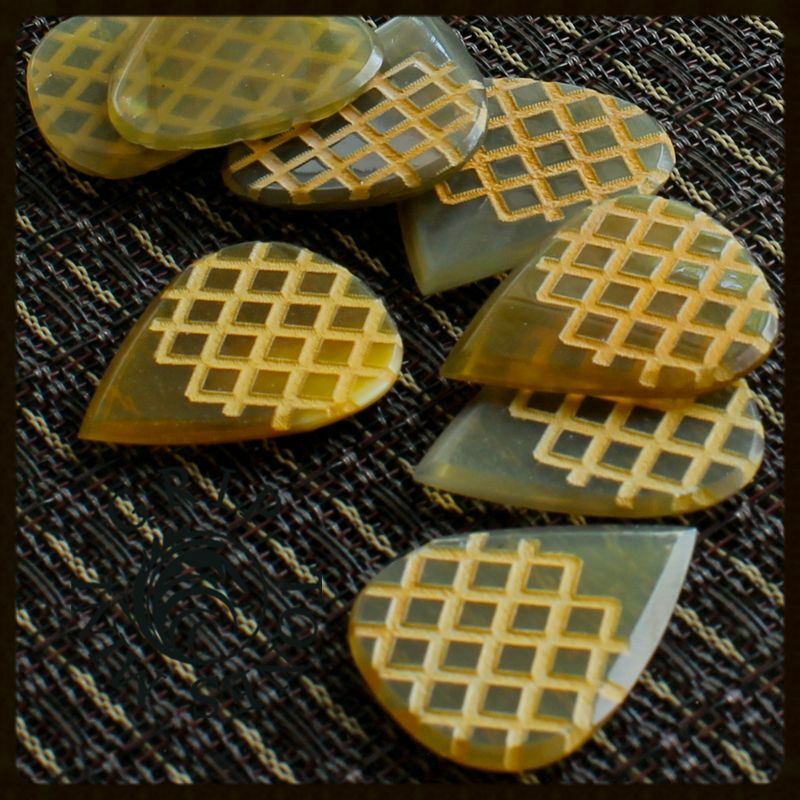 We recommend Grip Tones Mini for Electric Guitar, Acoustic Guitar & Archtop Jazz Guitar. 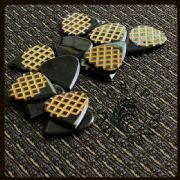 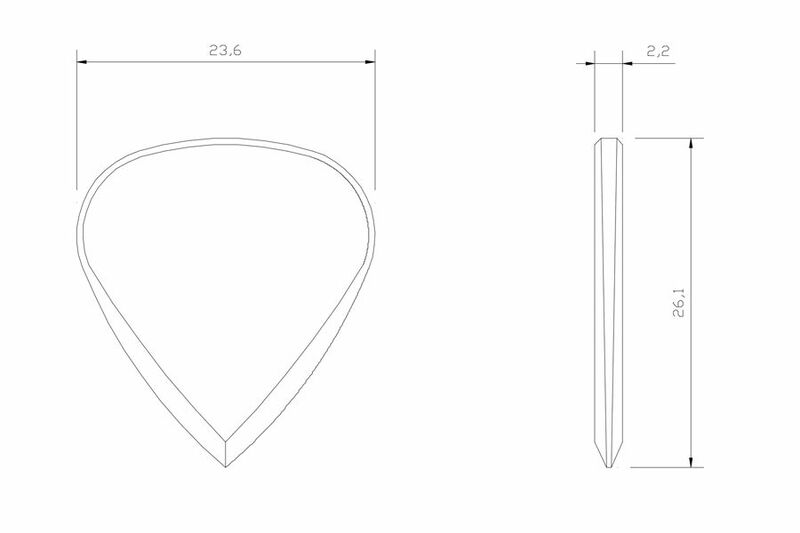 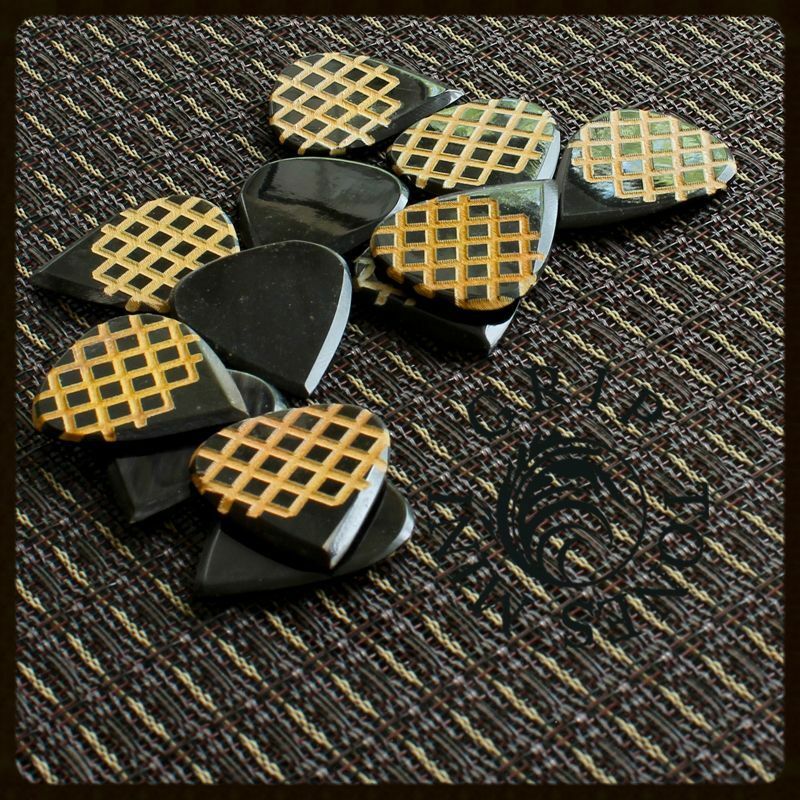 Buffalo Horn has the closest tone to the fabled Tortoise shell picks as it is made from the same Keratin materials thus warn and rounded. 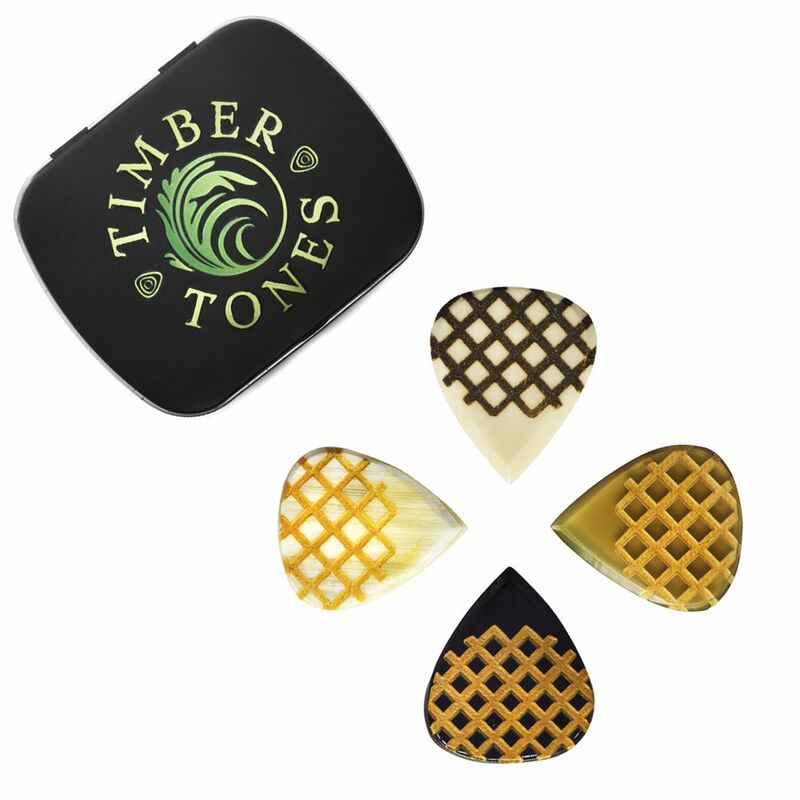 This tin contains 1 of each of the Grip Tones Mini Guitar Picks.